Why we love it: This gift set includes 2 sample sizes of oil based beard tonics. Richly nourishing plant-based oils work together to soften, condition and moisturize the beard and the skin beneath. The result is a healthier, more manageable beard and softer skin. Apply sparingly to palms and rub into beard for best results. 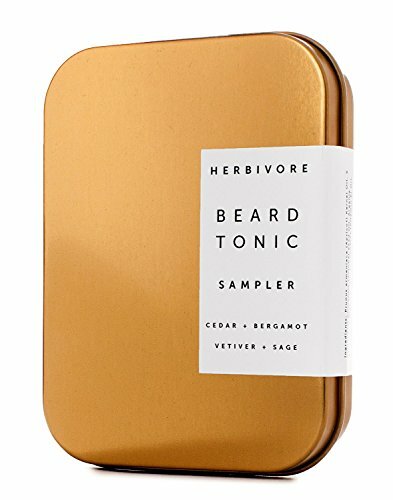 Includes Vetiver + Sage Beard Tonic and Cedar + Bergamot Beard Tonic.